William O. Hixon, PE, is the Third Vice President/Advisor Liaison on the WDBC Board of Directors. In this position, Bill interfaces with the advisor representative to the board and members to, among other things, guide the advisor members to effectively participate in the Council. 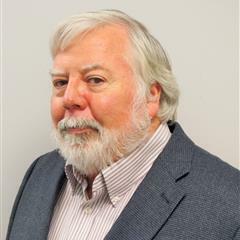 Mr. Hixon leads the collaborative-delivery community of practice for Arcadis Water Business Line and is the Arcadis Leader for Construction Services for the Southeast United States, with over 41 years of experience in the design and construction of water and wastewater treatment systems and improvements. Bill has been involved in design-build projects for over 25 years and also serves as a technical advisor for project teams involved in design-build project delivery. He is responsible for providing quality assurance and risk analysis for significant construction projects, including providing constructibility reviews, cost estimating, and schedule planning. He has conducted numerous workshops for engineers, teaching the basic principles involved in preparing bidding and contract documents. Construction Services Leader, Southeastern U.S.